Find out where the executor filed the will. If you cannot discover the information from relatives, look first in the court in the county in which the testator resided during her final years. Telephone the court to determine probate procedures. Some jurisdictions offer an automated probate telephone line; you enter the name and date of death of the deceased to learn whether probate is open in that county and, if so, the probate number. Other courts use an Internet site. In many states, however, you must go in person to the probate court. Visit the probate court during business hours. Provide the name and date of death of the deceased -- or the probate case number if you found it -- and ask for the probate file. 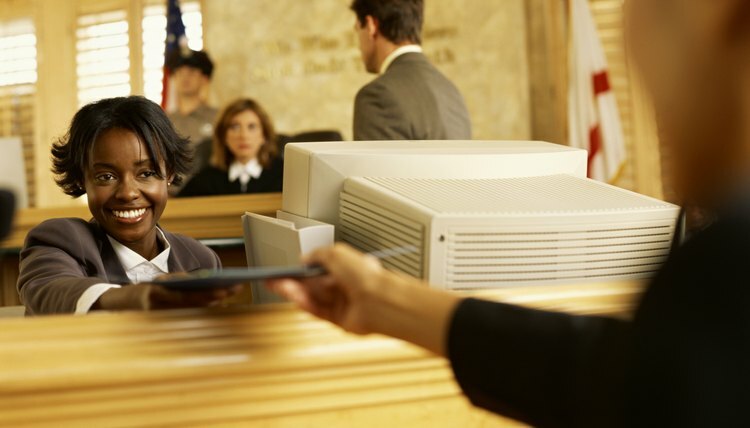 The court clerk locates the file and instructs you where to review it. Do not attempt to alter or remove any document. Altering court property constitutes a serious criminal offense. If you wish to review the will at home, request a copy from the court clerk and pay a per-page fee. Look further if the clerk tells you that the will of the deceased is not on file in that country. Consider the possibility that the deceased recorded a different home as her primary residence. Repeat the above steps in each county in which the deceased owned property until you locate the will. Review archived wills if the death occurred years earlier. The probate clerk explains the archived will procedure to you. In some jurisdictions, a court employee looks up old wills using the information you provide; in others, you look through a court probate index. Newer wills are microfilmed but older documents are originals; treat them gently.